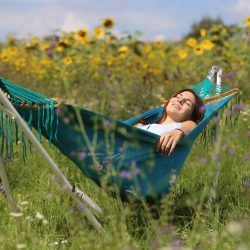 No trees for a hammock? No problem! Take a break this long weekend on an Airmock!! Get 10% off with the promo code at checkout, valid till 18 Sep! Shop now at www.airmocks.com ! Experience the FIRST EVER and probably the last Thai theme concept market at Tanjong Pagar Railway Station before it closes by the end of this year. Megafash will be collaborating with @fleawhere and Singapore Land Authority to bring you FANTASTIC THAI MARKET on Hari Raya Haji (12/09/2016). With over 100 vendors including both local and international, your fave Thai rom-com movie screenings, vintage cars from @kombirocks plus food trucks, this is an event you don't wanna miss. We're bringin' indie back! 2 weekends of indie goodness from brands all over Asia. 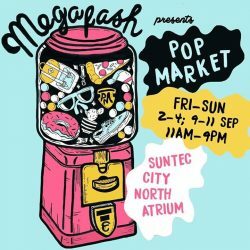 A local market featuring over 60 makers ranging from clothing and homeware to accessories and lifestyle products- all in the heart of Singapore at Suntec City. 2-4 Sep and 9-11 Sep, 11AM to 9PM at Suntec North Atrium (between tower 1 & 2). Check back for brand lineup! Attention PokeMasters! Head down to Megafash at 100AM and enjoy a FREE brownie while you uncover amazing products and designs! Only for the Pokemon Go Trainers above LEVEL 25, just flash them your Pokemon Go profile to get one, while stocks last.